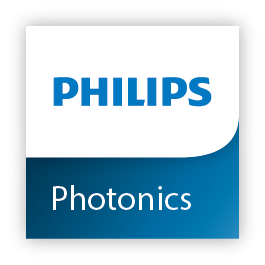 Philips Photonics announced that the company has reached a milestone of shipping one billion VCSELs thanks to strong growth in smartphone 3D sensing applications. With strong drives from the trends of proximity sensing and 3D facial recognition technology in consumer smartphones, the company also unveiled its plan to increase production capacity. According to Philips Photonics, it has doubled its production capacity by early 2018, which is in line with the company’s plan. Now Phiilips Photonics plans to further expand its production at the facility in Ulm, Germany in the next one and a half years. Philips Photonics has been the leading partner of the European ‘VIDaP’ project (VCSEL Pilot Line for Illumination, Datacom and Power Applications), which has enabled the VCSEL industry to standardize the design, manufacture and testing of VCSEL technology, matching the same high standards as other high-volume semiconductor components. Philips’ leading role in the project has enabled the business to grow beyond traditional VCSEL use cases such as optical data transmission and thermal industrial processes, while also supporting innovative new technology applications such as consumer facial recognition and Lidar for autonomous vehicles. Philips Photonics is uniquely positioned to serve the full spectrum of traditional and emerging VCSEL applications. “Reaching the milestone of one billion VCSELs is a testament to the strong demand we see in the market today and in the coming years. Through continuous investment in our business, from research and development to quality manufacturing processes, we have been able to meet the rapidly growing global demand and cement our position as a European industry leader for VCSEL technology,” said Joseph Pankert, General Manager, Philips Photonics.